Parents spend many years looking forward to a time when their children will be more independent. It’s difficult to care for one or more little people and still care for yourself! When children start growing into teenagers and young adults, however, parents often agonize over when their children are ready for these newer and greater responsibilities. One question we are often asked is what is the right age for contacts? As you can imagine, there is no definitive answer. It depends on the child. 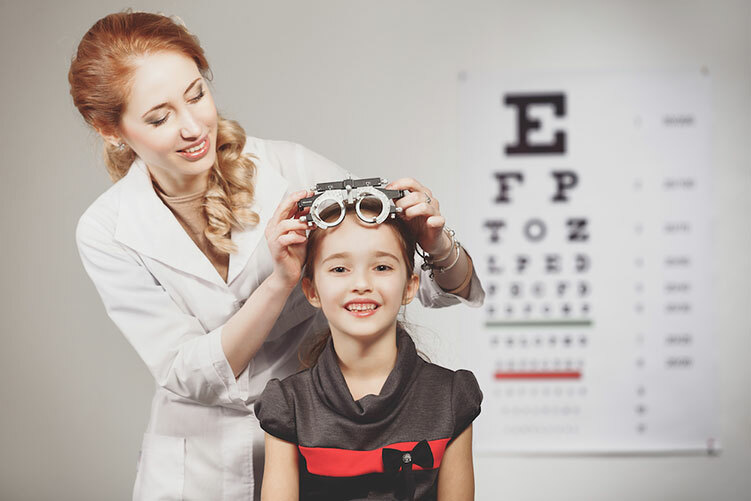 Physically even young children are able to wear contacts, but are not ready to handle the responsibility of proper eye care. Some babies can wear contact lenses from birth as part of a treatment plan or vision correction process. Many elementary and middle school children have to continue developing to understand and practice proper procedures, but a surprising number can perform the tasks without incident. When studied, 90% of children in a group of 8 to 11 year olds were able to use daily disposable contact lenses with little to no trouble. * Even though many parents won’t consider contact lenses for their children until they are teenagers, clearly younger children can learn proper hygiene and useage of contact lenses. If you are considering contact lenses for your child, talk to [DOCTOR NAME] about how they handle other responsibilities. Does he or she need regular reminders to wash their hands, close doors or containers, or to provide other kinds of self-care? If yes, your child may need some more time before learning how to use contact lenses. If you feel your child is mature enough to complete everyday self-care tasks, will remember to wash their hands, and will practice putting lenses in and taking them out carefully, they may be ready to try. On average, many eye care professionals begin to encourage contact lens wear between the ages of 11 to 14. Not everyone enjoys wearing contacts, but it’s a good idea to let children try. By giving them an opportunity to try contacts early, they are more likely to build the skills needed to place and remove contacts with ease. Adults who try contact lenses later in life are still capable of learning, but often take extra time and don’t enjoy the novelty of contact lenses like younger patients do. If you would like to learn more, please call us at [PRACTICE NAME] to schedule an appointment! We will help you and your child make this important decision.